1. Request an informational packet from the Nebraska Land Trust. 2. Schedule a visit from the Nebraska Land Trust staff, so that we can answer questions and have a clear picture of your goals for the land. In deciding whether or not to proceed, it is recommended that landowners seek their own legal, financial, and family advice. 3. 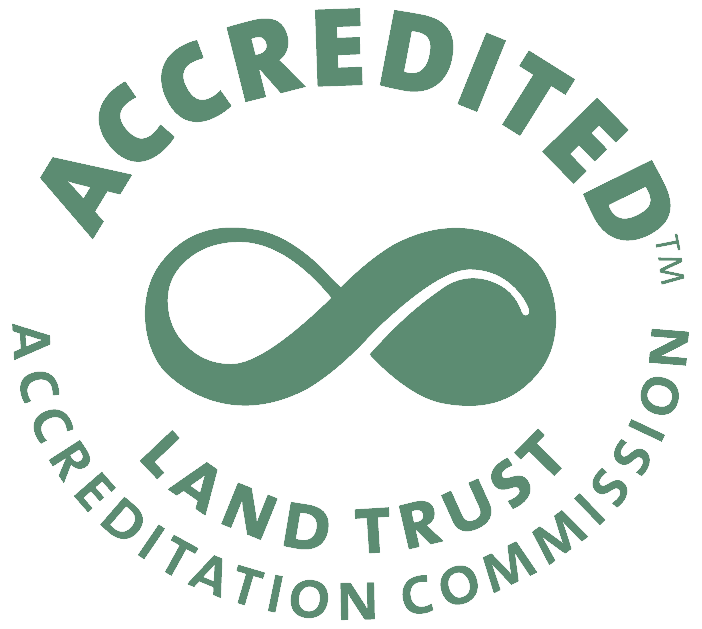 If you wish to proceed, the Nebraska Land Trust will capture your goals and desired provisions for the conservation easement in a non-binding Letter of Agreement, which will also include financial details, a preliminary timeline, steps for completion, and the anticipated responsibilities of both parties. Once this letter is signed, we will begin work on your project. 4. A Baseline Documentation Report will be created by the Nebraska Land Trust to document the existing condition of the land through pictures, maps, and words. A team with the skills necessary to accurately assess the land will schedule a visit and landowner participation in this visit is not only welcome, it is very helpful. 5. The Nebraska Land Trust conducts a title search on all prospective conservation easement properties, because any encumbrance on the title, like a mortgage, will need to be subordinated to the conservation easement. 6. The Nebraska Land Trust will create the first draft of the conservation easement document, based on our understanding of the landowner’s wishes. The landowner should review this draft with their own attorney and other advisors, then communicate any desired changes to the land trust. 7. Once a final document is agreed upon, the landowner must submit it to the city/county planning commission for a recommendation, and then to a city council or county board for approval. While the land trust can assist with this step and be present at the meetings, we cannot represent the landowner. 8. At closing, all legal landowners listed on the title will need to sign the conservation easement document and an Acknowledgement that the Baseline Documentation Report is an accurate representation of their land at the time the easement is conveyed. Once the documents are signed, the easement will be recorded on the title which makes it binding on all future landowners. 9. Celebrate your legacy of permanently preserved land and the many benefits that it will provide for generations to come.